November 21, 2014 3:00 P.M.
Québec Premier Philippe Couillard and Ontario Premier Kathleen Wynne led a joint meeting of cabinet ministers in Toronto today and took action in several key areas including the signing of three sectoral MOUs and a declaration on the Francophonie. The significant progress made by the two governments during the meeting includes an unprecedented agreement that will see Quebec and Ontario exchange electricity capacity to help keep power affordable and reliable for people in both provinces. During the meeting, the governments also committed to reinvigorating the Ontario-Québec Trade and Cooperation Agreement (OQTCA). They will align the agreement's procurement commitments with those in the Canada-European Union Trade Agreement (CETA) to help Ontario and Québec businesses remain competitive and grow. Premiers reiterated the importance for the federal government, as did their ministers of agriculture one week ago, to fulfil its commitment to compensate the dairy sector as agreed under CETA. Premiers Wynne and Couillard also asked the Liquor Control Board of Ontario (LCBO) and the Société des Alcools du Québec (SAQ) to look at ways of facilitating the marketing and sale of locally produced alcoholic products from each province through their respective sales channels. To further promote opportunities for shared prosperity, Ontario's Ministry of Tourism, Culture and Sport and the Ministère du Tourisme du Québec plan to collaborate on several tourism and cultural initiatives that would better position both provinces to compete in the global market. Ontario and Québec will partner on an international marketing proposal, which would include an agreement to co-promote the provinces in China and France. Leading from the centre of Canada, Québec and Ontario also signed an agreement to fight climate change and build a stronger and more competitive low-carbon economy. Canada's two most populated provinces will collaborate to ensure that their efforts to fight climate change and safeguard our environment for future generations are complementary. The provinces, which are Canada's leaders in fighting climate change, will also work together to ensure that the Canadian Energy Strategy being developed by the provinces and territories takes climate change objectives into account. The two provinces have also agreed on joint principles and collaborative work to guide their respective decisions concerning pipeline projects, including TransCanada's Energy East project. Collaboration between Québec and Ontario will help the provinces define a common approach to ensure compliance with the principles that will allow the project to be implemented in a way that offers safety and protection for the environment, promotes social acceptability and optimizes the economic impacts. Also today, Québec and Ontario signed a declaration based on a shared recognition that the Francophonie is an integral part of the foundation that Canada's past and future success is built on. The declaration affirms a shared commitment to protecting and promoting Francophone culture and heritage. Québec and Ontario are urging the Federal Government to support Radio-Canada in fulfilling its mandate to provide radio and television services in French across Canada, in order to reflect the specific needs of Francophones and they intend to work closely to reach this goal. To this end, they will meet in the next few months, key stakeholders such as the Commissioner of Official Languages and representatives of the Standing Senate Committee on Official Languages. Finally, the two governments also agreed that infrastructure is an economic priority and a priority in the lives of the people of Central Canada, and reiterated their joint call on the federal government to build up Canada's infrastructure and economy by providing adequate, predictable and stable block funding. The two Premiers committed this summer to resume joint meetings of cabinet ministers as a key component in strengthening the partnership between Québec and Ontario. Central Canada is the country's largest economic region, accounting for 56 per cent of GDP and 53 per cent of interprovincial trade. Ontario and Québec are reinforcing their regional partnership to build a stronger Central Canada and a stronger Canada. Their next joint meeting will be in Québec City in 2015. 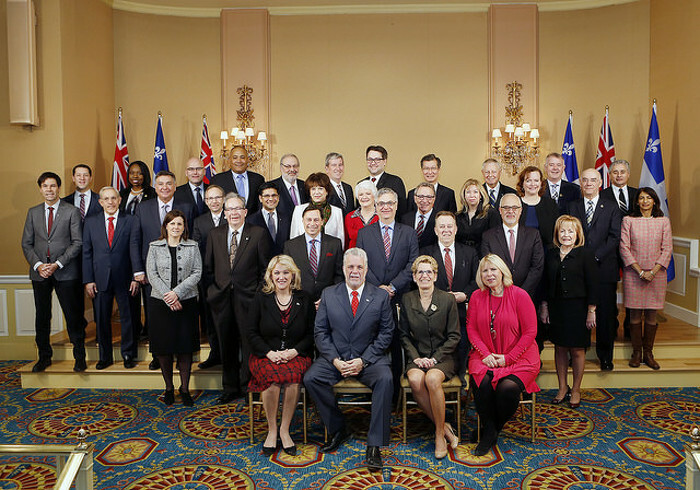 This was the fourth Québec-Ontario joint meeting of cabinet ministers, following meetings in 2008, 2009 and 2010. Québec will host the fifth meeting in 2015. Starting in late 2015, Ontario will make 500 megawatts (MW) of electricity capacity available to Québec in the winter, and beginning in 2016, Québec will make 500 MW available to Ontario during its peak electricity season, summer. A working group has been formed by the Liquor Control Board of Ontario (LCBO) and the Société des Alcools du Québec (SAQ) to define the measures to be developed to make it possible to promote locally produced wines from Ontario and Québec within each province’s regulatory framework. Over the next decade, Ontario plans to invest about $130 billion in infrastructure, and Québec about $90 billion, while the federal government is planning to invest across the country only less than one third of the amount that Québec and Ontario will contribute the country. Ontario is home to nearly 612,000 Francophones, according to the 2011 census. In 2015, the province will celebrate 400 years of French presence in Ontario. This document was published on November 21, 2014 and is provided for archival and research purposes. Ontario Premier Kathleen Wynne and Québec Premier Philippe Couillard and their cabinet ministers held a joint meeting in Toronto to take action on several key priorities for each province.